Engineering Empathy - Origins of Data Architecture Conflicts. Tips and Strategies for Resolution. Since 2011, Neil Hepburn has been giving talks on the history of analytics and databases to 3rd and 4th year university students across numerous universities in Ontario, Canada. The main reason for giving these talks is to learn and teach about the divide that exists between "the business" and IT, as well as the natural tension that exists between data architects and software architects. Through researching history, presenting to students, and conducting frank discussions with computer science and business students, professors, and department chairs, Neil has gained valuable insights into the sources of these tensions. In this talk, Neil will discuss his experiences and findings, and will offer a prescription that the academic and data management community can follow to better prepare students and new hires for life in the modern enterprise. 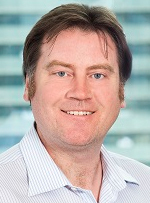 Neil Hepburn is a Certified Data Management Professional (mastery level), holds an honours B. Math in Computer Science, and has over 20 years IT and data management experience. Neil works within PriceWaterhouseCooper’s Information Management practice and is a recognized thought leader in the area of Agile Analytics. Neil has spoken on the topic of information management in numerous public forums including: Enterprise Data World; FSOSS (Free and Open Source Software Symposium); CMA IT Symposium; and numerous universities including University of Toronto, Waterloo, Wilfred Laurier, Ryerson, and McMaster.